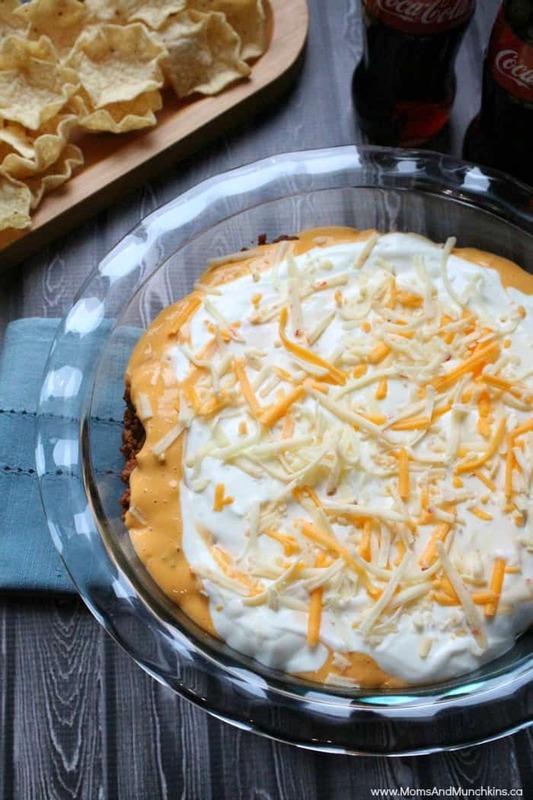 This turkey taco dip is very easy to make and tastes great. I always have requests to bring this to a party or to pass along the recipe so I’m sure it will be a hit at your party as well. It tastes the best when the ingredients are put together just before your guests arrive. You can make the turkey portion ahead of time so that you just have to heat the turkey and pile on the other toppings. It is best served with the scooping taco chips but any chips would work fine. For a bit of an addition, you could also add some shredded lettuce and diced tomatoes on top of the cheese sauce. In frying pan, brown ground turkey and prepare with taco seasoning mix as indicated on the seasoning package. Once prepared, transfer to 8 x 8 baking dish. Heat queso cheese in microwave. Pour over top of turkey. Then layer the sour cream over mixture and sprinkle shredded cheese on top of the sour cream. Serve with taco chips. What’s your favorite party recipe? Do you usually serve bite-sized foods or big meals? I always perfect the small bite-sized appetizers so that I can try out a larger variety. For more delicious recipes (like one of my other favorites – Hot Artichoke & Spinach Dip), check out our special Recipes page. We’re always adding new and delicious ideas to our recipes page. Stay updated on our latest recipes and family fun ideas by following along on Facebook, Twitter, Pinterest or our new RSS feed Bloglovin’. See you there! Yummy! 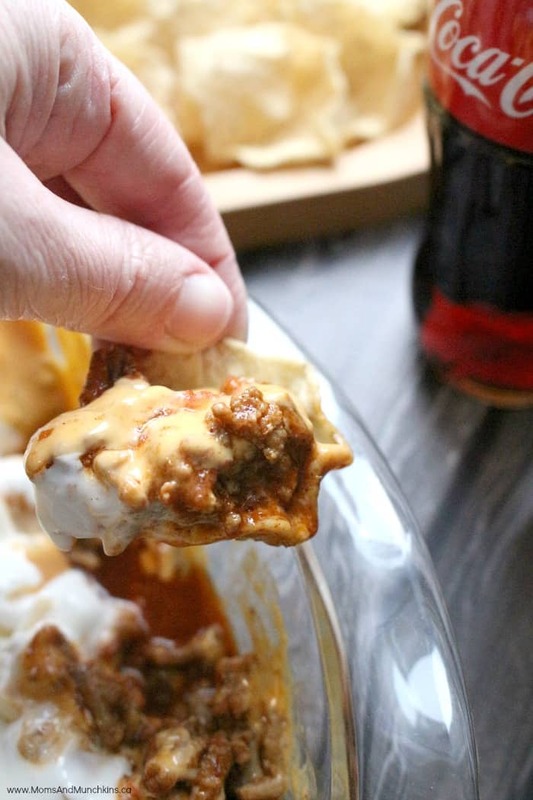 This sounds so easy and delicious – and I love using ground turkey. Thanks for a great recipe! Hi Debbie! Oh, it really is delicious! I’ve made it for parties so many times in the past and I always get asked for the recipe. I hope you love it too! Wow, Cheryl! This looks so yummy! (And I love how easy it is to make!) Thanks for sharing!